Abstract is one of the form of depicting the reality that helps us create something really different basing on real pictures of everyday life. 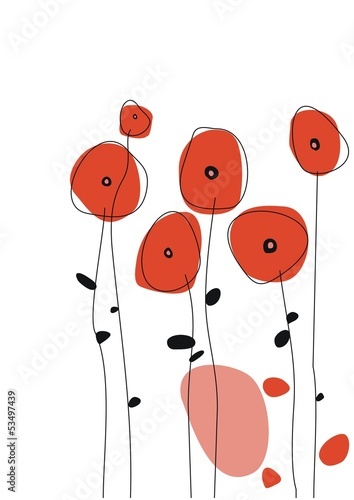 Wonderful image of poppies looks like a mosaic in vivid red. A photo wallpaper with such a motif is the best solution for an empty interior which misses originality and appeal.